Due to the physical properties of the sound waves, waterproofing has never been the main focus in the audio industry. I can appreciate the honest splash-proofing which would save the device from doom the moment you pour a glass of something you shouldn’t over it. With that said, if a company claims IPX68, I will get my hands wet. I promise to talk about the Sensport Rave 1 sound as well after I dip test it first. For a device that is not afraid of water the Sensport Rave 1 sports a pretty brave I/O. There is an AUX-IN, micro USB for charging and microSD card reader. That’s enough of holes to sunk a Titanic if you ask me. That interface is available under a rubberised cover which supposes to keep the water out. Looks solid enough. I actually did a dip test during my livestream and unboxing video, you can check it out below. 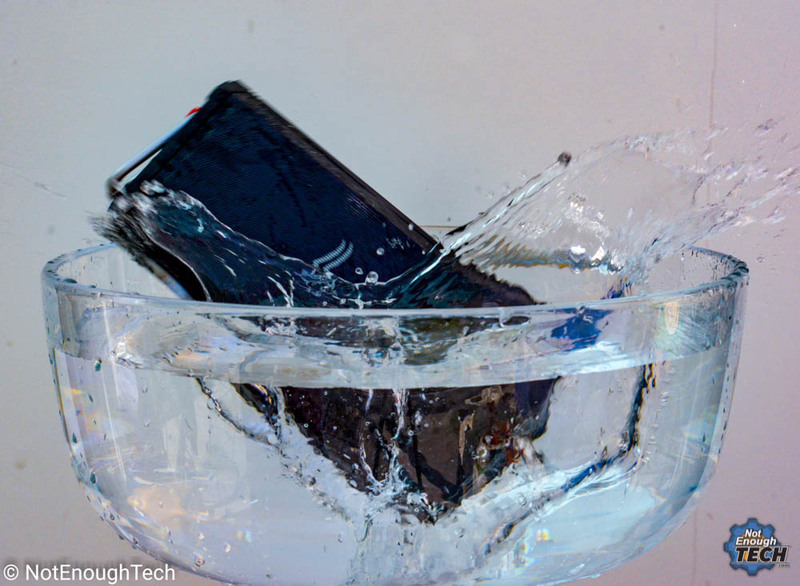 If you don’t want to watch the whole video to know if the device holds, be assured, you can take it with you next time you head for a bath or a pool party. Oh, spoiler alert – it also floats. IPX7 waterproof testing. 🤣😂🤣 Review soon on #notenoughtech #behindthescenes Watch the extreme unboxing with a dip test now on my #youtube channel (NotEnoughTech) brownie points for first person who guesses the song. The outdoor feel is reinforced by the black design, rubberised bottom and top, and sealed buttons. 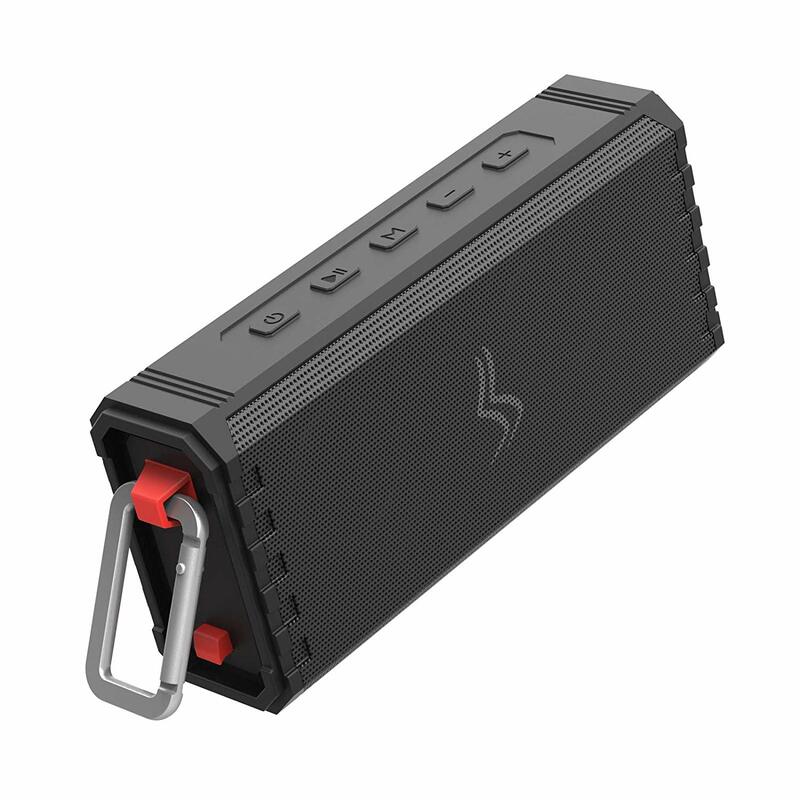 If you don’t feel outdoorsy enough, Sensport Rave 1 comes with a carabiner just in case you are into climbing or want to simply strap the speaker to something. The Sensport Rave 1 is not just a sealed buoy, it produces sound. In fact a pretty decent music profile. 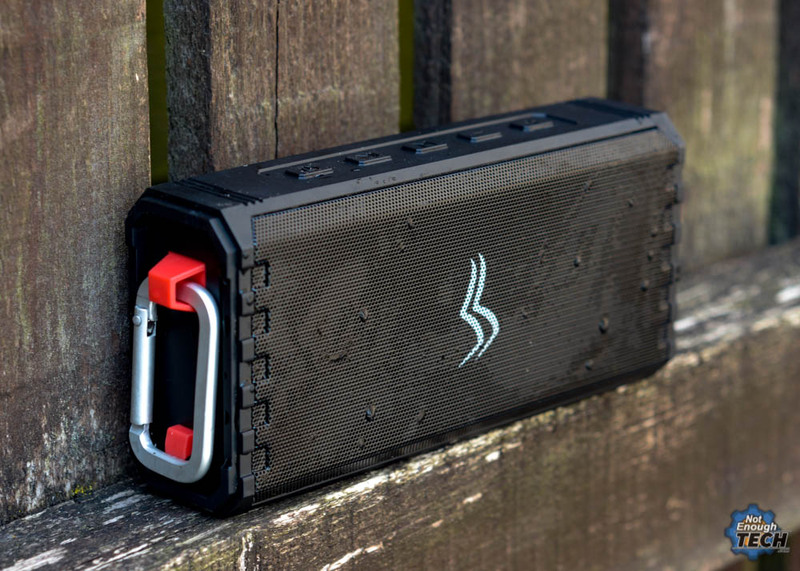 The speaker is loud enough to fill the room with music and the outdoor sound is not going to disappear either. A two 8W speakers are more than capable of meeting your music needs outdoors. I found the low frequencies a little flat, mostly due to the speaker size, however, it did not detract from a good sound that much. I reviewed a fair bit of Bluetooth speakers to know what level of sound I should expect. The high tones are very clear, and mids follow the same suit. As the Sensport Rave 1 comes with the usual Bluetooth profiles, it is possible to handle the calls through the speaker. Personally, I’d leave it for emergencies, as the quality of the microphone isn’t that great. The speaker, however, does a decent job in making sure I can hear the caller clearly. With the outdoor look, I think I can justify the microSD reader a little bit more. I still find this to be a useless feature, as there is no interface to select songs, they will play in whatever order the files have been placed on the card. If you really into playing the music while camping, I guess you can use this to your benefit and save yourself battery life at the cost of not having a proper control over what plays next. 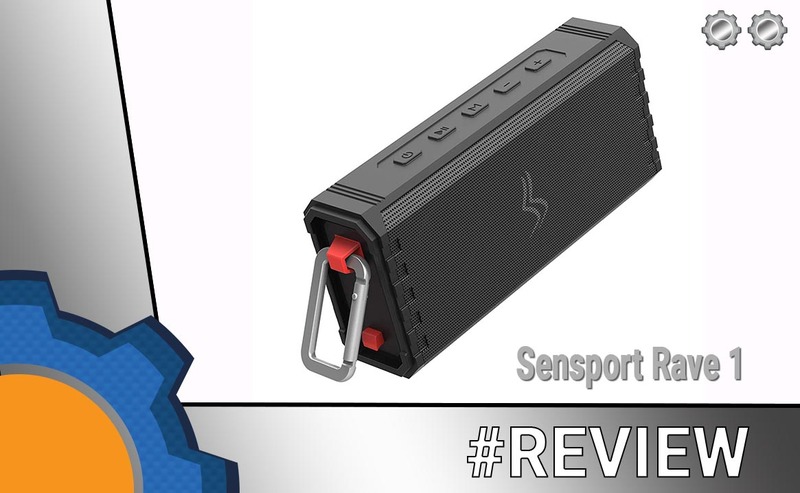 The Sensport Rave 1 has been provided to me for the purpose of the review. As usual, with all my reviews I reserve the right to an honest critique of the product. The bottom line is, the Sensport Rave 1 is a pretty strong contender. 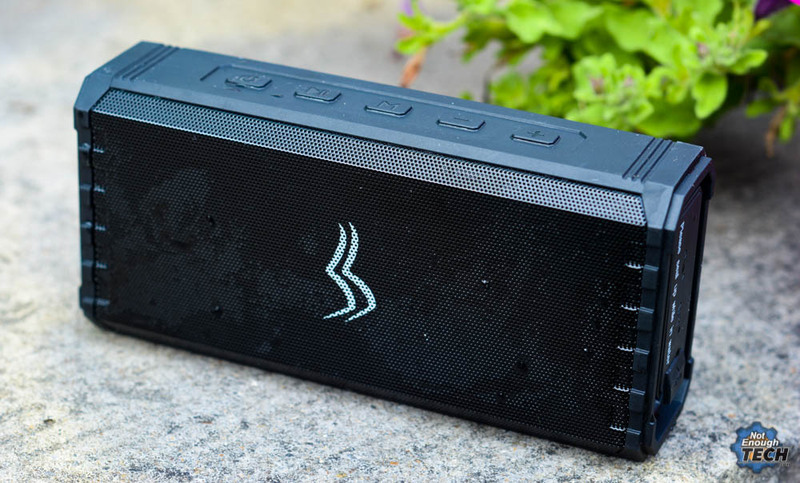 While I don’t need a waterproofing at such levels, the fact that this speaker comes with a really good sound – makes it worth your time and money. In fact, as soon as I finish this review, the unit goes to the bathroom. Streaming music from a phone during a bath can be very expensive!